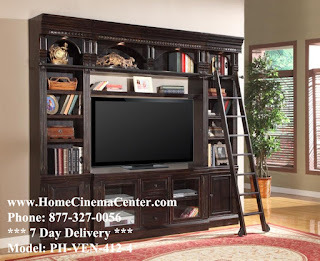 All Entertainment Centers, Wall units, and consoles are on sale for the Home for the Holidays Sales Event! The Kingston Plantation Collection by Liberty Furniture is made of Poplar Solids & Cathedral Cherry Veneers in Hand Rubbed Cognac Finish. 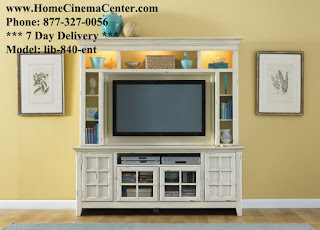 This Entertainment Center from New Generation Collectionby Liberty Furniture is made of Select Hardwoods & Birch Veneers, finished in a Vintage White. 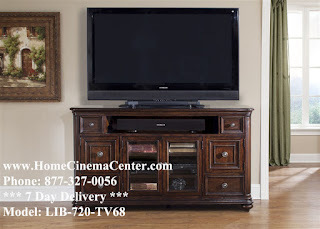 This entertainment center includes a TV Stand and Mountable Entertainment Hutch and it has a Flat-Screen TV Capability. Base, as well as, the hutch offer ample storage for DVDs, CDs, & Electronics with adjustable shelving and storage compartments. 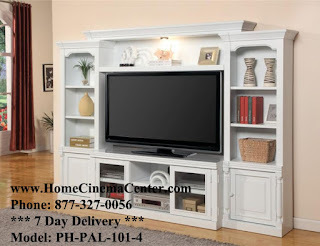 TheAlpine Collection by Parker House is made of Poplar solids andash veneers in Cottage White Finish. 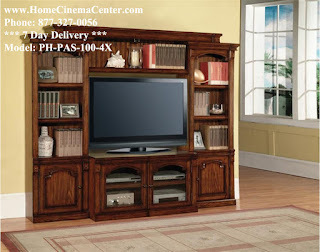 This 4 Piece Wall Unit includes a 57-Inch Stationary Console, Pier Cabinets and Bridge with Shelf and Backpanel. The Premier Mini Walls by Parker House offer a selection of styles and finishes at a promotional price. The consoles are 24-inch high and are pre-drilled and plugged for attachment to the pier cabinets. All walls have the Parker House patented X-Pandable console that opens to 60-Inch. The Venezia Collection by Parker House presents Italian Country Style. It is made of Poplar solids with Birch Veneers in Vintage Burnished Black Finish with distressing and sand thru with hand applied accents. This collection offers various pieces to allow you create your very own home office that will fit your needs.